What’s the secret to encouraging little ones to dare take a few steps on their own? The short answer is toys with wheels – plus a bucket load of encouragement! 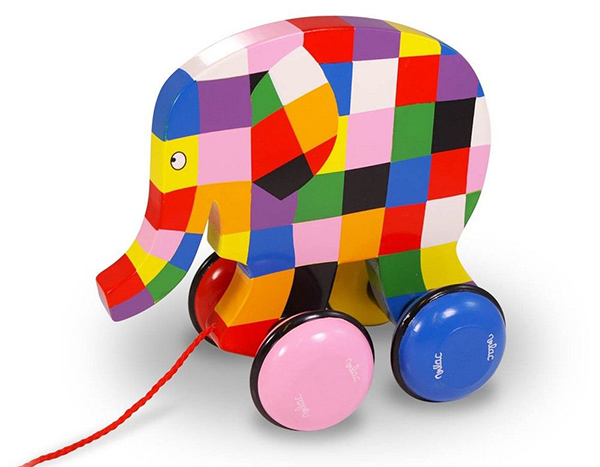 How could anyone resist walking Elmer the elephant with his bold patchwork coloured skin, solid wheels and pull cord? Elmer the Elephant Pull Toy, US$25 from Perfectly Smitten. 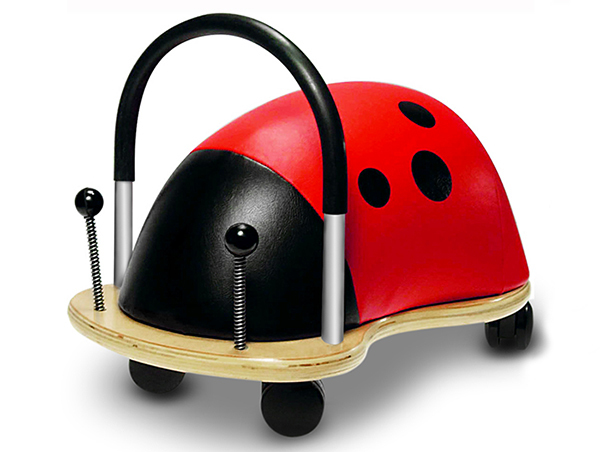 Designed especially for toddlers, the Wheely Bug is as popular as ever. It’s just the right size to work on balance and push around – or take a seat for a ride. Find these cute critters in two sizes at Urban Baby, from $94.95. 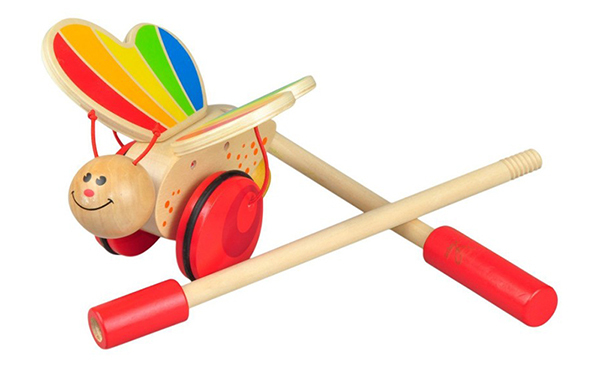 A colourful paint job, a stick to push or pull and a pair of wheels and fluttering wings is all it takes to encourage a sweet tot to get up on his feet. A butterfly which loves to be pushed around, the Hape Butterfly Push Pal is $39.95 from Lime Tree Kids. And the one that worked for my babes, a toy pram. Hours were spent moving a tiny pram around and putting ted in the pram, only to take him out again. My favourite toy pram pick? 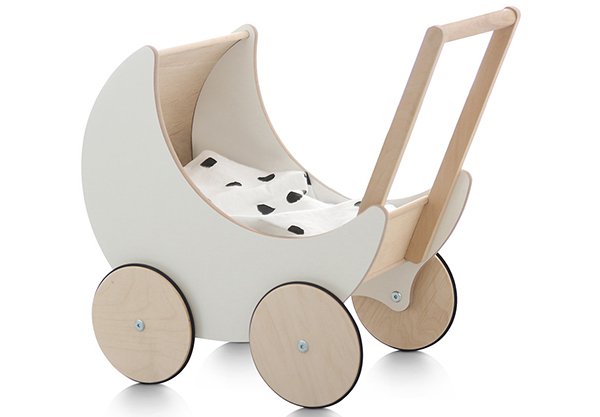 The Ooh Noo Toy Pram, $229.95 from Hello Little Birdie. 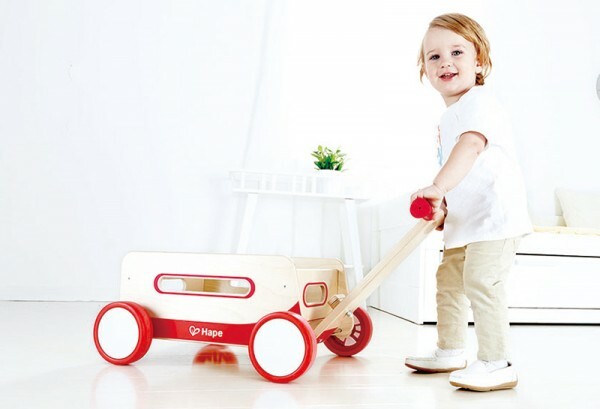 The Hape Wonder Wagon is set to delight little busy bees with the ability to cart all their treasures from one end of the room to the other. When they tire of that – they can go for a wagon ride themselves! Priced $110 from Educational Experience. It doesn’t take long for little cherubs to gain their confidence. Once they start with those few steps, walking and running isn’t far away! Happy toddling!